Syfy premiered their new vampire TV series on September 23, 2016, titled Van Helsing. Syfy"s Van Helsing Season 1 will feature a female version of the character from which we have seen only males portray to date. Van Helsing is played by Kelly Overton, with Jonathan Scarfe and Christopher Heyerdahl also starring. Having mixed feelings about the series based on this short thirty-second trailer. This one slipped under my radar, but I will make some time to watch as Bram Stoker"s legendary character is played in an entirely new way while protecting the world from vampires taking over. From the producers of "Fargo" and "Hell On Wheels," and marking director/playwright Neil LaBute"s debut as showrunner, Syfy"s 13-part series VAN HELSING takes a new twist on the classic story of "Dracula." 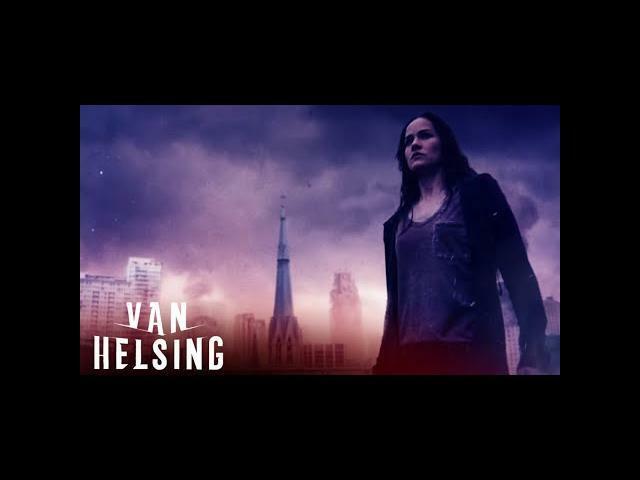 Set in a near future where vampires have risen and taken control, VAN HELSING stars Kelly Overton ("True Blood") as Vanessa Van Helsing, a descendant of the famed Van Helsing line. Vanessa"s unique blood composition allows her to turn vampires to human - a secret weapon that makes her humanity"s last hope. Airing on Syfy Fridays at 10/9c, the series will kick-off on September 23 with a special two-hour, double episode premiere. In a world of vampires, she bites back. Coming to SYFY this fall.Van Helsing Season 3 Finale Fridays at 10/9c on SYFY.